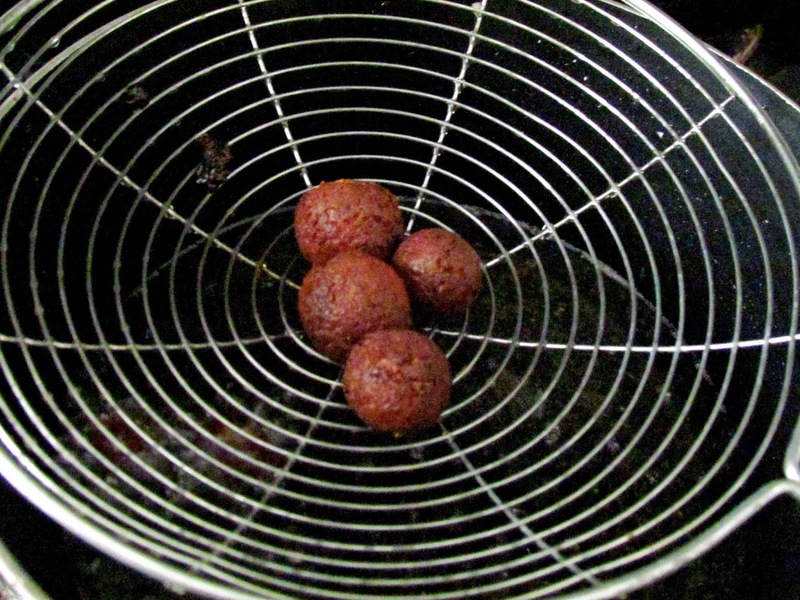 Got bored of preparing gulab jamuns using ready made mix ,then this is for you. I had some ricotta cheese left after preparing Kalakand. Check for the Microwave Kalakand recipe here.So used it to prepare gulab jamuns. Ricotta cheese gulab jamuns are so soft and spongy. Baking powder makes the jamuns to have several pores, which absorbs all the syrup. Original recipe, calls in for condensed milk. But I skipped it , and added milk and sugar. 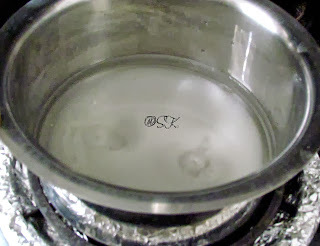 If you have condensed milk, then replace sugar and milk with 2 tbsp. of condensed milk. It was a crowd pleaser. Try this exotic sweet for this Diwali and impress your guests. Thank you Geetha for the recipe. Yield : 25 to 30 mini jamuns. 2. Maida / All purpose flour - 2 tbsp. Take a pan, add the ricotta cheese into it. Ricotta cheese differs from its consistency from one brand to the other. I used Kraft's ricotta cheese, which was semi liquid. But some brand will be thicker than this. So the cooking time varies from one brand to the other. 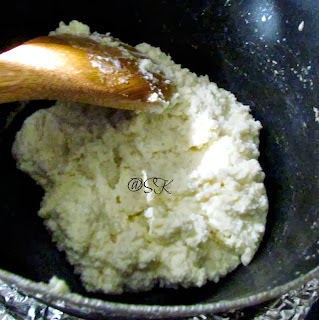 When I mixed the cheese, it was like thick curd as you see in the picture. 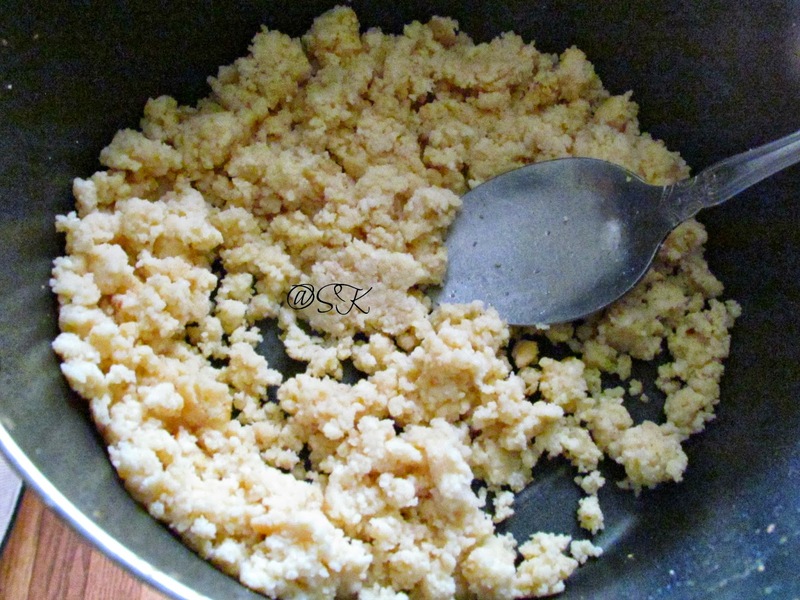 Use a wide pan , so that the cheese will get cooked fast and it will not splutter everywhere. Mix the cheese every now and then. Ricotta cheese would have thickened like a ball now.After 30 minutes, I got this consistency. I cooked the cheese in medium flame. Since my pan ,was small, may be it took me longer for the cheese to loose its water content. You can use a wide pan to cook it fast. 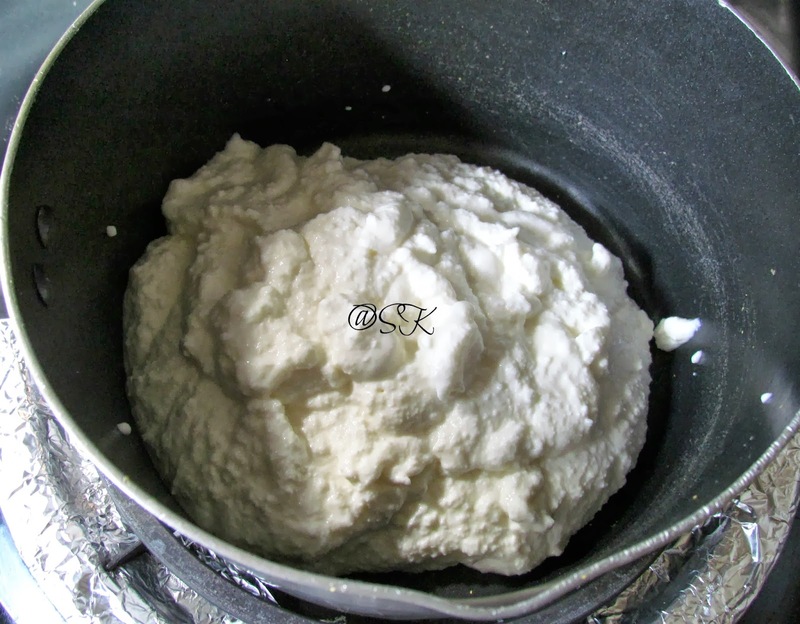 After 45 minutes, the cheese has become like a mava. That is ,when we take in our hands, it should be crumbly. Don't make it too powdery ,then we will not be able to make balls out of it. Now turn off the flame and let it cool. 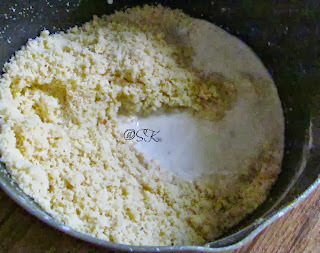 Now to the same pan, add flour, baking powder ,sugar and milk. The original recipe, asked for condensed milk. Since I didn't had that, used sugar and milk .If you have condensed milk, then skip sugar and milk and replace it with 2 tbsp. of condensed milk. First I added 2 tbsp. 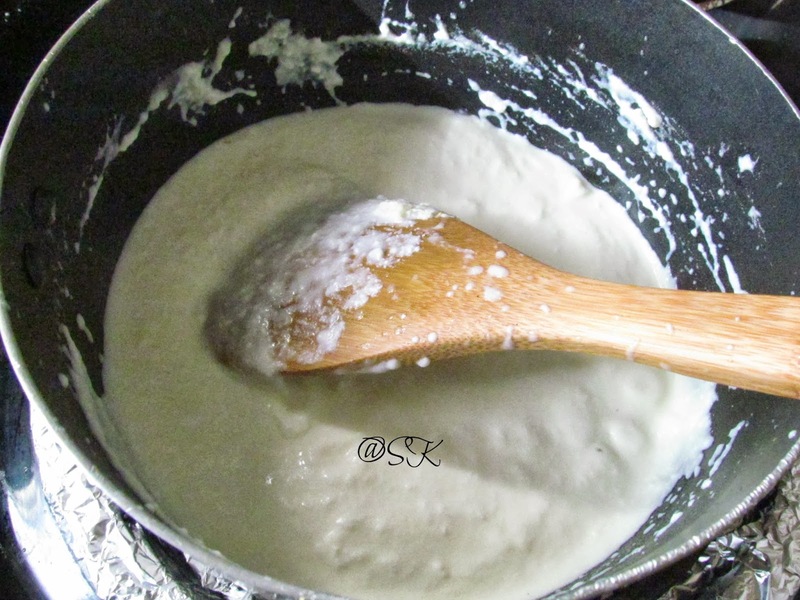 milk to the mixture. 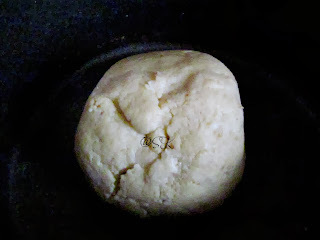 Mixed the dough and kneaded softly into a big ball. I felt the dough was bit tight, so added 1 tsp of milk again. It was perfectly soft now. Let it rest for 10 minutes, covered by a wet tissue. Don't over do the dough, then it will be hard. Mean while, lets prepare the sugar syrup. Take sugar and water in a bowl. Mix it well and cook on a low flame. The syrup will come to boil. Watch for the consistency of the syrup, it should be sticky now, i.e half thread consistancy. Turn off the stove .Now add crushed cardamom to the syrup. The syrup should be warm ,when we add the fried gulab jamuns into the syrup. So if it is cold , just heat it ,till it becomes warm. Becarefull, not to thicken the syrup. Slowly drop the balls in batches. Don't overcrowd the pan. 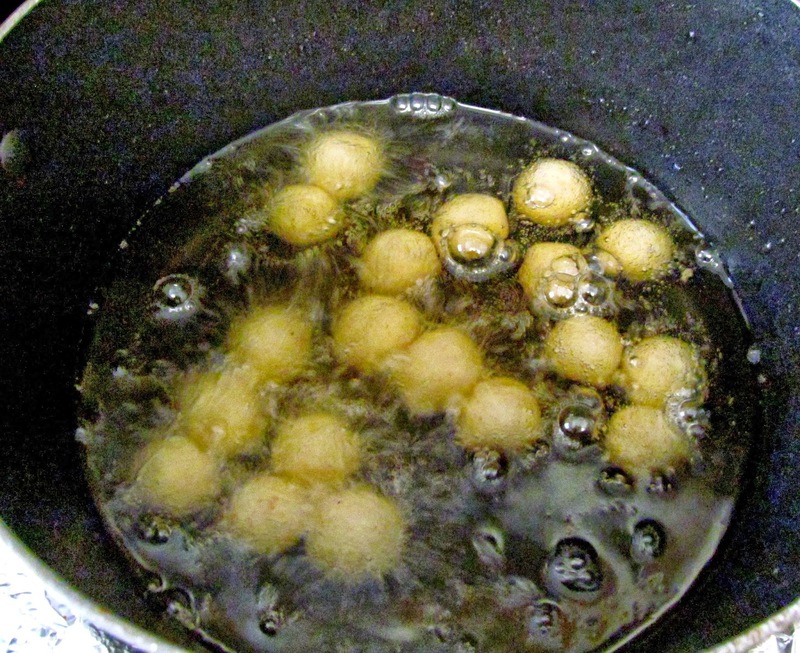 Then the jamuns will break ,because of the drop in temperature of the oil. Just use a spoon and mix the oil, without touching the gulab jamuns. This will make the gulab jamuns cook evenly on all the sides. 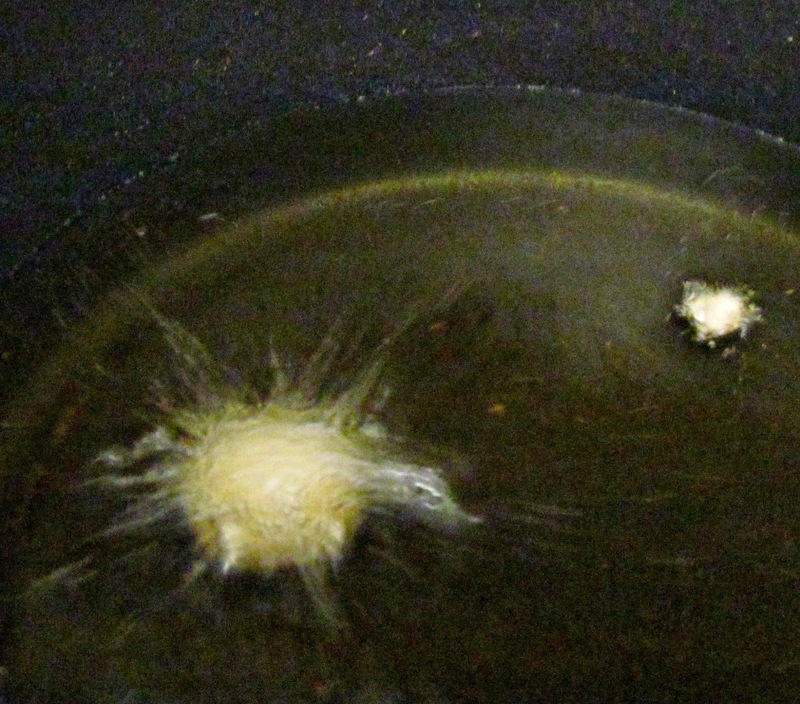 Once all are cooked to golden brown, remove it from the oil. 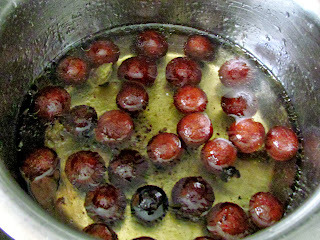 Since ,I have added sugar, the jamuns were little dark brown. If you want your jamuns to be golden brown, then skip the addition of sugar to the dough. 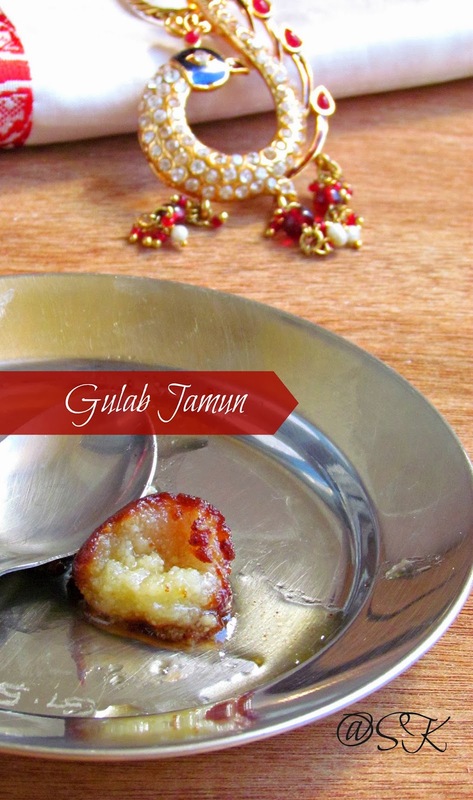 Strain the gulab jamuns completely ,if not the sugar syrup will have traces of oil in it. If you want, strain the gulab jamuns on a paper towel. Drop the gulab jamuns into the warm sugar syrup. The idea is ,the syrup has to be warm and when the hot jamuns are dropped into the syrup, so that it will become soft, after getting soaked into the syrup. Let the gulab jamuns get soaked into the syrup for half an hour or over night. It will be fluffy and soft .Serve it warm or cold with a dallop of ice cream. 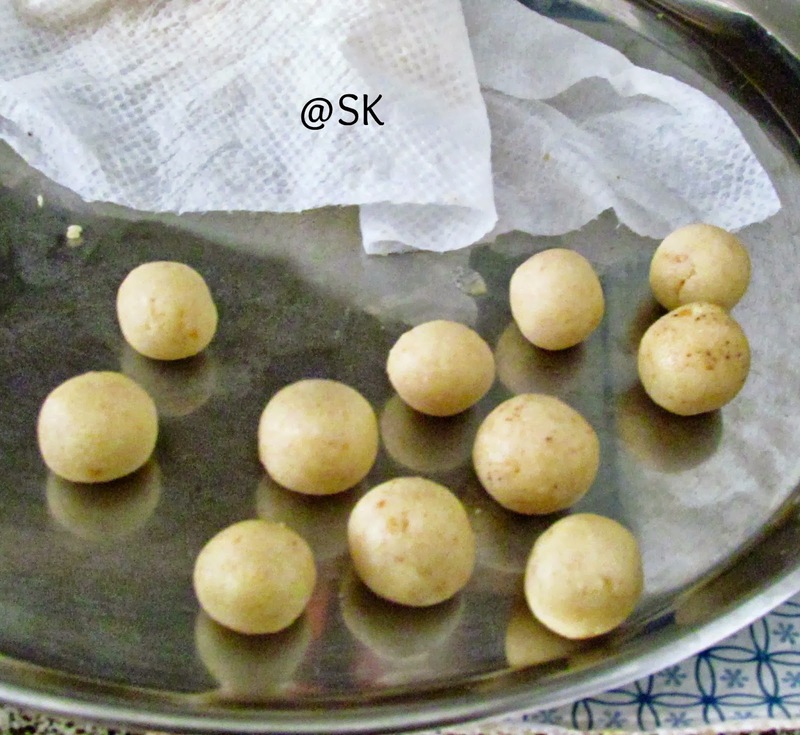 These gulab jamuns tasted heavenly ,compared to the ready made mix gulab jamuns. We can also add some rose water to the syrup to give nice aroma. 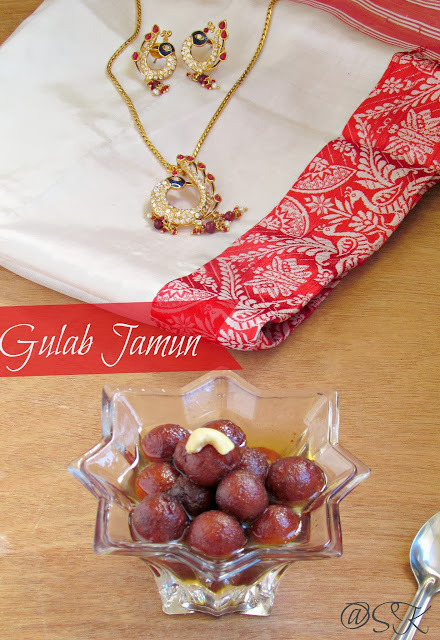 Check the gulab jamuns recipe using ready mix here. Just add milk tsp by tsp for the dough to be soft . We will be able to make balls out of it. Always cover the dough with a damp cloth or wet tissue. 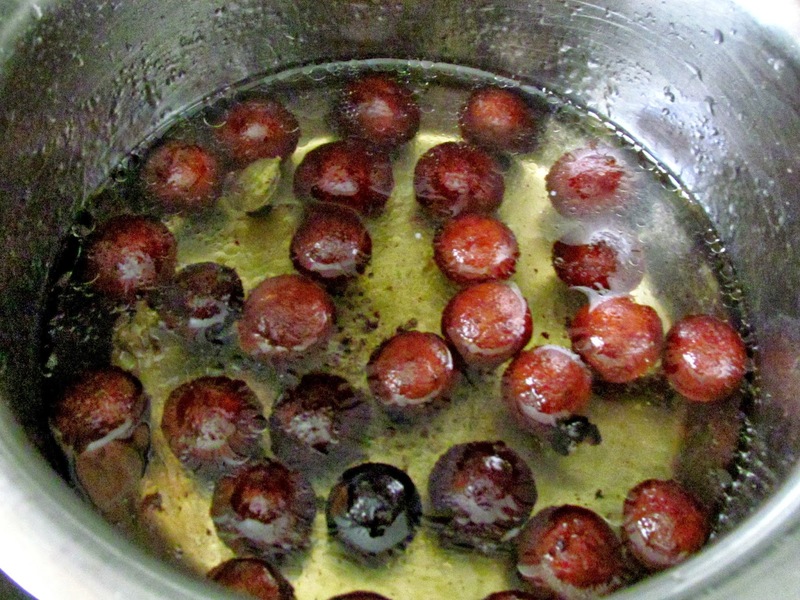 Then the oil is too hot , which makes the jamuns to change in color quickly, which results in uncooked jamuns . So always, test the temperature of the oil, by dropping a pich of the dough, it should wait for a second and rise. 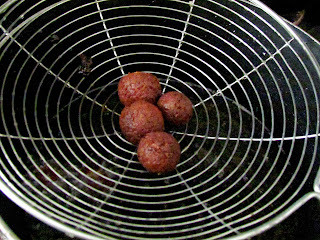 There are only three reasons, for a gulab jamun to break during frying. First one, is it should have had cracks while rolling the jamuns. So always use ghee to grease your hands and roll the balls. Ghee acts as a glue and binds the balls ,without any cracks. Second reason is, the oil should have been cold . Third reason ,is you would have over crowded the pan with so many jamuns during frying. Fry the jamuns in batches. This will prevent the oil from dropping its temperature. The reason ,for this is ,the sugar syrup was cooked for more time, so it started to crystalise. Always turn off the heat ,after the syrup becomes sticky. If you want add few drops of lemon juice to prevent sugar from getting crystalised. 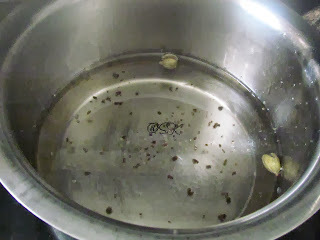 Then the jamuns have not absorbed the syrup properly. May be the syrup was too cold, while dropping the hot jamuns , Or the bowl is not wide enough to have room for all the jamuns to get soaked well in the syrup. Just try to heat the bowl of gulab jamuns in a wide bowl with the syrup in a microwave ,for 30 seconds or till it absorbs all the syrup. The third reason ,may be the syrup is not sufficient for the jamuns. So try to make some more syrup and pour the hot syrup over the jamuns . Always take sugar according to the amount of cheese. For example, I have taken 2 cups of cheese and hence the 2 cups of sugar. These are the trouble shooting step, which I learnt in cooking gulab jamuns. If you still have question, just msg me or shoot it at savitha.ganesan@gmail.com. This is lovely! Should try this version of the gulab jamun! wow ,it looks so wonderful. 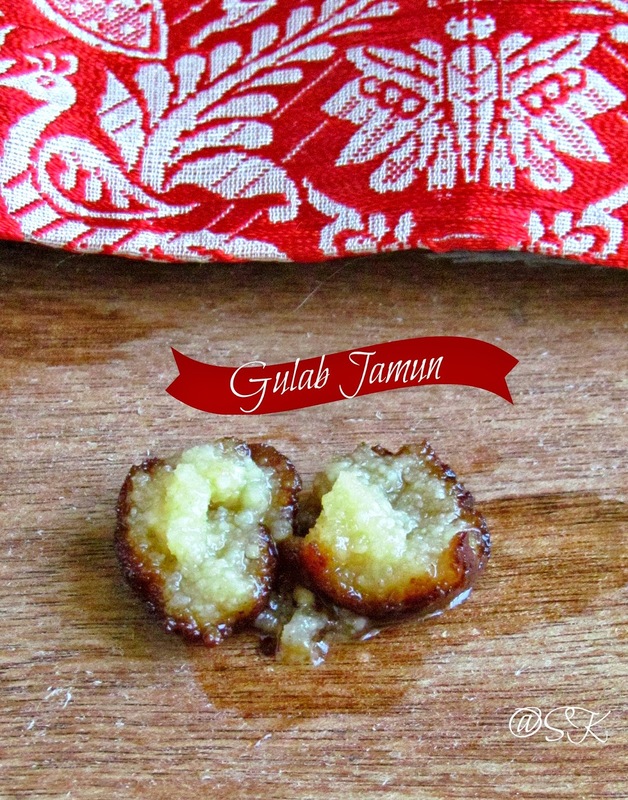 Succelent jamuns they are..Love this detailed post Savitha, very useful for many of us. Btw love that peacock studs and chain, soo cute and elegant. That is very innovative to use ricotta ...wonderful jamuns! Super dear.Inviting and simply delicious. lovely gulab jamun looks tempting..
can we substitute paneer for ricotta cheese? Ricotta has some unique texture , but I doubt about paneer. It has rubbery testure ,which may go wrong while frying. Ricotta cheese will work wonders. 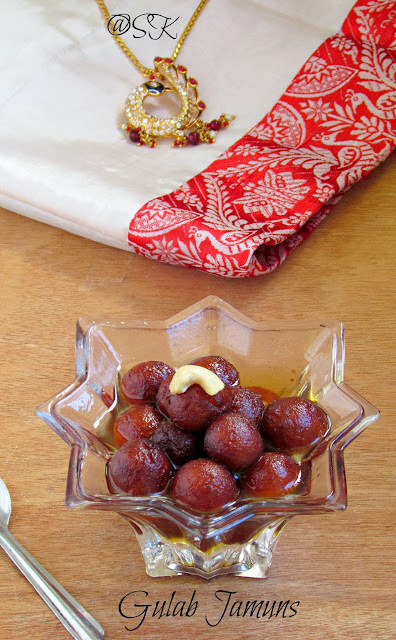 Delicious gulabjamun with ricotta cheese I love to try it. love these tiny miny yummy spongy jamuns.. nice prep.. Delicious and well explained. Love the props. super gulab jamun. i like your gulab jamun very much. Sounds delicious! love ur version, adding ricotta cheese is new to me.